Since first getting involved with finding lost black and white cartoons, I have been amazed at some of the conditions, both good and bad, that these films have been in. Think about it, a cartoon from 1927 is ninety-years-old this year. Yet, some of the finds have been beautiful prints and others are fragments or partial film clips, which may require locating a second print of the same title to cobble together a complete cartoon. So, when a lost Oswald the Lucky Rabbit cartoon is found, either full or partial, that’s when the real work begins with restoration and preservation. Most of the lost Oswald cartoons that I have helped to recover over the years have typically been 16mm or 35mm film prints. These have been located, with the help of my friend and colleague David Gerstein, in various public and private archives or with an individual film collector, either in the United States or Europe. Once a title has been identified and verified, a simple agreement is put in place with the owner of the short, allowing for access to the print for a nominal fee in order to get a digital scan of the complete film element. In some instances, the entity that owns the print may have the capability to do the film scanning at their facility. This was the case when Empty Socks was found at the National Library of Norway. That element was an untitled 35mm nitrate film print, which was archived in two separate fragments and thought to be a Felix the Cat short. Thanks to David Gerstein, who recognized the plotline, he could identify the film as the missing Oswald short Empty Socks. Many view film preservation and restoration as the same thing, but they are two different processes, subtly different but different nonetheless. Restoration is the rehabilitation of celluloid film images using current digital technology, usually for presentation to audiences. Preservation is about taking the necessary steps to protect the actual physical film print. This has become less of an issue since the work is being done digitally and there is no need for the actual film prints. In fact, many studies would prefer not to have to store a physical film print if they dont have to. Yes, a digital master is set aside for preservation. 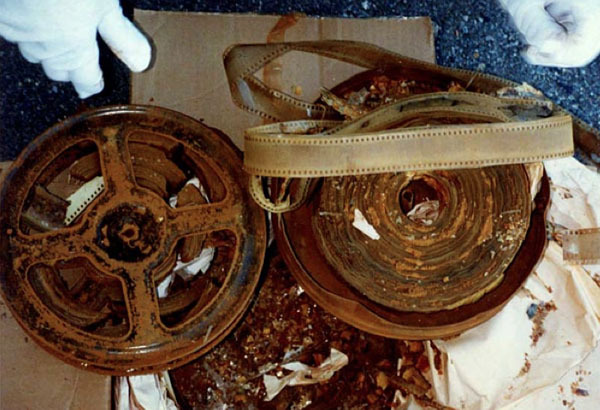 The early films were on nitrate film stock, which is highly flammable and decays over time. When the Oswald short Africa Before Dark was located at the Austrian Film Museum under a German title, it was a 35mm nitrate print that had been well taken care of, including being in cold storage, low humidity, and ventilated film storage containers. The other saving grace with nitrate is that the black and white prints have a longer lifespan than the color nitrate prints, which contain more chemical compounds. That is one of the issues with nitrate is that the chemical composition of the film prints decays and breaks down over time until the print is no longer salvageable. The restoration on the lost Oswald shorts entailed first reviewing, inspecting, and evaluating the 4K scans that were received on a particular title. Once the condition of the film on the scans was accessed, we then determined what level of restoration was needed to bring the short to an acceptable quality that an audience could enjoy it. It is important, with any restoration, to bring the film back to a level that would maintain the integrity of the time period in which the film was made. 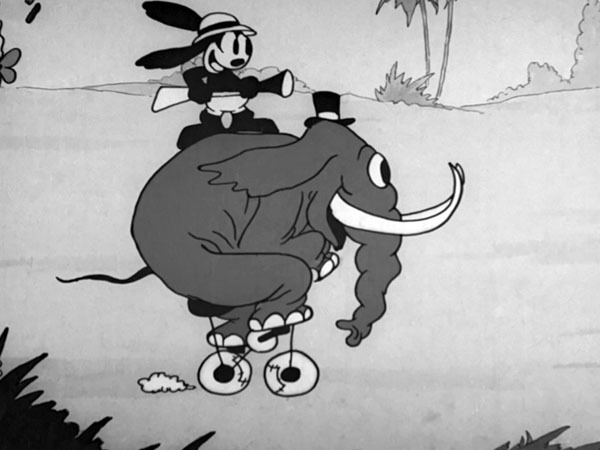 In the case of the Walt Disneys Oswald shorts, they were all filmed between 1927 and 1928. There were various technological limitations in the early years of animation. For instance, the electrical current in the 1920s was not as consistent as it is today, nor did technicians have the types of voltage regulators that became available in later years as the animation process was improved and refined. That voltage inconsistency resulted in camera lights varying slightly in brightness from frame to frame as the animation was exposed onto film. The outcome was a slight flickering when the film was viewed at normal projection speed, which is twenty-four frames-per-second. Add to that a film weave, which is simply the instability of the film moving through the camera during filming. The subsequent viewing of the film shows the picture movingweaving slightlyfrom side to side. 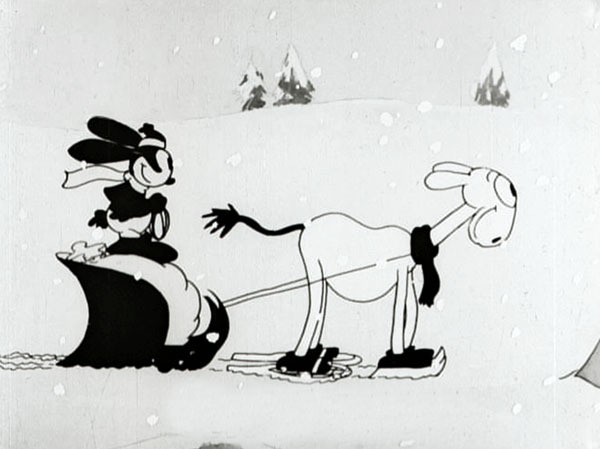 Other anomalies are also inherent in those early animated films, including dust, dirt, and cel scratches. The use of cels creates a natural static electricity, which attracts dust like a magnet. As hard as an animation cameramen tried, it was inevitable that dust and dirt was photographed into the film frames. Cel scratches typically were the result of cels being washed and reused, which was the practice due to the cost of the celluloid/acetate sheets that the animation was inked and painted on. The cel washing process also caused warping to the celluloid/acetate sheets that could cause cel flashes, which are light reflections that might flash on a single frame. There was also a phenomenon known as ‘Newton Rings’, more prevalent in color cartoons, which happens when several cel layers are pressed together causing light to refract and the appearance of concentric rainbow colored rings between the cel layers. These are all by-products of the available technology then and not what the filmmakers intended, but what they had to settle for. Philosophically, restoration should be about restoring the artistic intent that lay behind the making of the filmbringing it back to what the filmmaker had originally conceived and envisioned. Did the filmmakers want dirt, dust, and scratches photographed into the animation? Of course not. Nor would they have wanted flicker or film weave but that was indicative of the times. So, choices must be made to present that films in a way that they feel right for todays audiences. Having the film available during the restoration process is vital when possible. Anytime that I worked on a film restoration over the years, there has always been an effort to bring in the original filmmakers to the process as well. Oftentimes it has been key animators or an art director (who was usually in his eighties or nineties). There is also a larger overarching issue to consider: time period. Many years ago, when I was part of the team doing pristine restorations of the Disney animated feature films, we also did a restoration of the Mickey Mouse short Steamboat Willie. During that restoration, the goal was to try and make it pristine as wellremoving all the dirt, dust, scratches, light flicker, picture weave, and every other anomaly. When the final restoration was viewed, it didnt look or feel right; it was sterile and didnt feel of the time period. So, to correct that, we backed in some light flicker and film weave, which made it feel more of the 1920s – and more authentic. Again, the film has to feel right. With each of the lost Oswald cartoons that have been repatriated back to the studio, there has been much care taken in doing an appropriate restoration. The 4K scans of each short go through several steps of digital restoration to achieve the desired result. The first step is an automated, software-based process that is referred to as dust-busting that removes most of the obvious dust and dirt. Next is a manual process that requires a technician, sitting at a computer monitor, to go through frame by frame removing additional artifacts that are deemed not part of the artistic intention of the film. Between each of these steps a team of film restoration experts reviews the film and additional notes are usually called out to fix or touch up a sequence of images. Once the restoration is completed, there is a digital copy of the original 4K scans made, and the newly restored version is archived for preservation purposes. A digital duplicate file is then formatted and used for the next step, which is adding music to the short, which I will cover in my next article on Oswald the Lucky Rabbit here at Cartoon Research. PLEASE NOTE I will be doing a presentation on Oswald the Lucky Rabbit: The Search for the Lost Cartoons at the D23 EXPO on Sunday, July 16, 2017 at 6:00 PM on Stage 28. I hope to see you there! 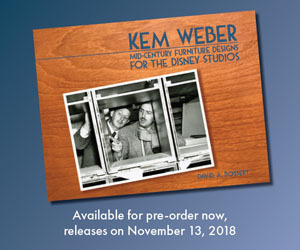 …before the short is locked away in a vault where we will never see it, since Disney has shown zero interest in releasing its classic shorts on blu-ray. Obviously, you didn’t notice the recent “Bambi” release with “Africa Before Dark”. Dan’s too right on the money, a good percentage of all that nitrate Disney scanned in 4k a few years ago still hasn’t seen the light of day in any form, and probably never will. I read in another article they performed restoration tests on Song of the South recently but again, what’s the point if no-one outside the company will ever get to see it? I think it does the restorations are disservice to use a cropped screengrab from someone’s wall-shoot copy of the raw print. Surely a frame from the raw 4K scan against the restored 4K copy would work better? But then the “restoration” wouldn’t look so remarkably “better” than the original, aside from the history censorship that this article advocates. Not sure about it doing a disservice to the “restoration” (the original, yes), but it is misleading. while a studio like Disney”s can afford to rely on 4K digital copies to preserve a film, the international standard for film archives is to use archival film stock, which is said to last 500 years. While film archives, like UCLA and the Library of Congress, may use digital technology in the restoration and preservation process, the ideal is to transfer it to film for safekeeping. It is also more economical than storing digital copies, which must be copied on a regular basis to maintain their integrity. Film archives also try to always hold on to the original film elements, whether it’s nitrate or acetate as long as possible. The problem is and has always been, no one wants to pay for these to be archived on film because there is revenue stream to cover that cost. That is just the reality of it all. That is “no” revenue stream to cover the costs. Any interesting stories, from the people that worked on these shorts? of flicker or other visible artifacts, which are part of the deal when you have a 70, 80 or 90-year-old film that you might enjoy watching even if it was made at a time when you might have a cameraman flick his cigar ash all over the cel setups. Leave that stuff alone for pity’s sake, and don’t obfuscate the issue by talk of “artistic intentions”, of which no one has a clue. Again could go on a long rant on the questionable “restoration” practices at Disney but it’ll be beating a dead horse by this point. It’s reassuring to know Disney care enough about preservation and the original scan files will be archived. Outside of that recently announced Universal programme, I can’t fathom any other major studio bankrolling a comprehensive worldwide search to repatriate silent film elements, so anything that keeps David Gerstein busy is probably commendable enough. I have to agree. Removing mild flicker and cel scratches in the name of preserving “artistic intent” and also in order to cater to what “feels right” to a modern audience strikes me as excessive and revisionist. If catering to modern audience expectations is to be considered a legitimate factor in film restoration, you might as well add color and 3D. Having been part of the team doing many of the restorations at Disney when I worked there, I can say that great care was taken in maintaining the artistic intent of the films. Where possible, we brought in original filmmakers to view the film restoration in process. Tyrus Wang on Bambi back in 2004; Frank Thomas and Ollie Johnston on many of them. I recall Frank Thomas saying; “That’s the way it was supposed to look!” with a big smile after showing him Lady and the Tramp. The filmmakers never intended to have cel scratches, dust, dirt, Newton rings, cel flashes, camera mistakes, or other anomalies photographed into these films. And as the technology and process improved many of those abnormalities reduced or disappeared altogether. When CAPS was introduced after The Little Mermaid, those anomalies disappeared completely. They were never part of the artistic intent of the films. Disney has done the best they can at balancing art and commerce in restoring and preserving these films. When they were able to digitally create stereo soundtracks for the earlier classic features, they made sure that fans could make a choice between the original mono-track and the new stereo soundtrack. Certainly, the studio should be commended for archiving an exact scan of the original negatives, while they are still in good condition, on film stock. I think that it is important to make these films the best they can be so they are accessible to new audiences. The more these are seen the more value will be afforded this material. Whether we like it or not, the motion picture industry is a business. The more audiences care about this material and support it, the more the studios will too. You really can’t claim that a film has been “preserved” when the digital “preservation” elements are constantly going obsolete as better scan capabilities come on line every few years. Film is still the best archival storage medium, the polymers in plastic film base today can last 500 years with proper storage, just let digital match that! To say that a giant corporation like Disney or Warner Bros. can’t “afford” to archive their libraries on film shows us just how little regard they have for properties that they continue to exploit and charge the public to see. Ask any true film archivist, Digital is NOT preservation! Mark, I don’t disagree with you it’s just the way it is at Disney for many film assets. They have been digitizing the film library for years and are not interested in receiving any new film elements from found cartoons. They take in 4K scans. As for the nitrate negatives of all the early classic Disney animated features, those are on loan to the Library of Congress film archives where they are stored. Eventually those negatives will decompose and be gone. As far as I know, they have preserved acetate film versions on them all, at least for now. Sorry to go on and on like a troll about this topic, Dave, but it’s a subject about which I feel passionate. The Disney company will not take care of any original film materials, but instead relies on digital scans which are unproven to be reliable preservation elements. That throws the responsibility of caring for the copyrighted property of the Walt Disney Company on to the collectors and archives from which the source material originates. The Library of Congress is now the steward of the heirloom nitrate negatives to the Disney animated features, supported by taxpayers. The Walt Disney Company retains acetate copies of the nitrate negatives, possibly stored in the salt mines of Kansas. Nitrate we know isn’t permanently stable, acetate is prone to vinegar syndrome which attacks the base and shrinks it so that it can’t be used. Therefore, I propose that the Disney company invest in repatriating the 4K (soon to be 8K) scans back to modern film stock which is on mylar or some kind of polymer film base. Crying poverty doesn’t impress me, the company assets on which the enormous wealth of the company is based, are certainly worthy of care. We are no doubt on the verge of yet another Sonny Bono-Mickey Mouse copyright extension, since the rights to Mickey were set to expire in 2019. I also submit that we shouldn’t let major corporations extend the copyright law to protect their intellectual property, until those corporations have properly preserved the materials those copyright laws are protecting. Ah have spoken! Mark, I couldn’t agree more. But the reality is that the large studios will do what they do based on dollars and cents. Sure there are a few who care but mostly they are slaves to their quarterly and annual profit goals. I think it will be up to you, me, and many others to do what we can on the lost cartoons that most don’t care about in the studio system especially the ones that have dropped out of copyright. I do like your assertion that “we shouldn’t let major corporations extend the copyright law to protect their intellectual property, until those corporations have properly preserved the materials those copyright laws are protecting.” That would be a good thing to implement. I don’t know as much as you guys do, but I know that it all looks dead to me once the film grain is removed. Take all the rest, but please keep those holds alive with film grain. I manage the Film Library and Theme Parks for the Walt Disney Company. I have been here at the studio for 27 years. Dave and I sat together a few years back on a panel at the studio regarding film restoration and preservation. It is true that our nitrate inventory will decompose over time. All nitrate ultimately will. With the exception of certain titles, in the early nineties, we moved all of our nitrate catalog at the Library of Congress. LoC has a program where the nitrate library is periodically pulled from storage and acclimated to room temperature. Once acclimated, the film will be put on the the inspection bench ‘face up’ from where the roll was in the can, wound through, inspected for anomalies and be allowed to breathe. This is very important in the life span of nitrate. Once completed, the roll will be placed back into the can ‘face down’. This allows more ‘arability’ for the roll. It will then return to cold storage. This process has allowed almost all of nitrate inventory to survive since the material was moved to LoC. We have pulled back our nitrate inventory of animated shorts, animated full feature and live action full feature titles and have scanned them to 4K resolution. As budget permits, we have been doing ‘film-outs’ of certain titles, mostly the animated shorts and full feature titles. The material is either estar B/W Archival Negative or if from a color element the film would be an estar S.E. (Successive Exposure) Archival Negative. As mentioned in an earlier post, the storing of title assets on film is the most durable process. Estar based film has shown to be a much better archival material than acetate which does degrade over time to present vinegar syndrome which the film does begin to smell quite like vinegar. The studio has been at the forefront of restoration and preservation for many years. I have been honored to be part of this process for all of these years. Ohh I want to hear about the restoration of Steamboat Willie. Can we get an article on that? Yes, I’d be happy about writing up a short piece on that. I’ll add it to the list and get to it a month or so. Thank you. Restoration is the act of returning something to a previous or original state. That’s simply the definition of the word. What you are advocating is the “returning” of these films to a state they never existed in, not even close. That’s by far not “restoration”, that’s creating altogether new, revised versions of the films. Passing this off as “restoration” is misleading (calling them “newly improved” would at least be honest), and making these available while withholding the originals constitutes censorship no less that it does for, say, racial (or other objectionable) content to be edited out of films on their video release (you listening, folks? If you decry those alterations on a historical basis yet consider these acceptable, you are a hypocrite). There’s an even larger overarching issue to consider over artistic factors or personal aesthetic preferences. The fact is that these films are also historical artifacts. Those with a healthy respect for history accept it for what it is, and are not in favor of burying less-than-favorable aspects of it in favor of make-believe that they weren’t/aren’t so. Furthermore, those who actually have a decent level of appreciation for the art form will look past these flaws to appreciate the artistic aspects of the films, which still come through just fine despite them. If someone today finds these films unacceptable viewing as they are, that’s reflective of both their lack of respect for history and their lack of regard for the artists’ work, and it reflects poorly on them, not the films or the one(s) presenting them. If you find it so necessary to release these modernized, revised versions to appease such people, please show some regard for history and make the original scans available as well, even if as burn-on-demand BD-Rs. That way history will not be buried. No, I have advocated returning these movies back to what the filmmakers and artists intended the films to be. You may look at it as a new version, but I look at it as what the original work of art was intended to be. And this is where it becomes subjective, art by its very nature is interpretive. What a team working on restoring a film sees may be very different from that of a lay person not involved in the process sees and choices are made based on historical reference and data. The team doing the work had access to the some of the original filmmakers, artwork, and documentation. These animated films are historical artifacts but they are also works of art, and art gets restored all the time; paint surfaces are cleaned; canvases are repaired; frescoes get patched and/or reconstructed, and films get cleaned up. That is not “burying less-than-favorable aspects of it in favor of make-believe that they weren’t/aren’t so.” That is presenting the films the way the artists who made them intended for them to be seen. I stand by what I wrote earlier, I think that it is important to make these films the best they can be so they are accessible to new audiences. The more these are seen the more value will be afforded this material. Whether we like it or not, the motion picture industry is a business. The more audiences care about this material and support it, the more the studios will too. And if so, maybe one day the studios will be able to make the original scans available on demand to that small group of purest that might not want to watch what the artist intended their films to be.